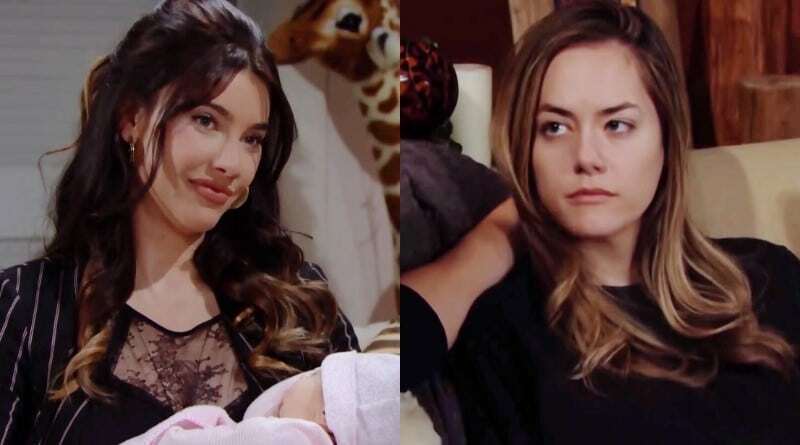 Bold and the Beautiful spoilers hint Steffy Forrester (Jacqueline MacInnes Wood) is worried when Hope Logan (Annika Noelle) starts spending lots more time with baby Phoebe Forrester (Rosalind Aune and Isabella de Armes). Indeed, Hope finds comfort and happiness when she holds Steffy’s adopted baby girl. However, it looks like Steffy starts to worry when affection could turn to obsession. Of course, she knows this is about Hope’s grief but this could lead to problems. Bold and the Beautiful Spoilers: Hope Logan Too Close to Phoebe Forrester? Hope has had such an incredibly difficult time in the last few weeks on B&B. 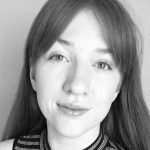 After believing baby Beth died during childbirth, she struggled to come to terms with a childless future. However, meeting Steffy’s adopted kiddo Phoebe has really changed things for her. Finally, Hope feels less sad and alone. When she gets to hold tiny Phoebe in her arms, she is at peace. Of course, that’s because Phoebe is really her baby only no one knows this. This newfound happiness means she continues to head over to Steffy’s in order to spend time with the little girl. However, according to recent Bold and the Beautiful spoilers, Steffy Forrester grows concerned. She feels like Hope Logan is getting a little too close to baby Phoebe. And perhaps Hope is getting more attached than she should. If Steffy brings this up to Hope Logan, it could potentially cause more drama between the two ladies. As Bold and the Beautiful soap watchers know, Steffy Forrester unknowingly adopted Beth. She’s clueless she has Hope and Liam Spencer’s (Scott Clifton) daughter. They think their little angel passed away, as that the lie Reese Buckingham (Wayne Brady) told them. In reality, Beth is alive and now living with Steffy Forrester. Reese created this terrible situation on Bold and the Beautiful. Plus, he knew about the rivalry between the families before he sold Steffy Forrester the baby. Since Taylor Hayes (Hunter Tylo) told him the backstory, he knew this would worsen the situation. Now he’s left Florence Fulton (Katrina Bowden) in LA to take the blame if things go bad. Hope isn’t the only one who bonds with the baby say B&B spoilers. Liam also does, much to Steffy’s pleasure. She wanted Liam to bond with the baby and approve of her adoption. In fact, she wants him to play daddy to her child. But she did not anticipate Hope Logan stepping so firmly into the picture. This is a strange situation. Hope Logan and her husband both feel indescribable bonds with Phoebe. Of course, Bold and the Beautiful viewers know this is because they are her real parents. Liam and Steffy Forrester worried about Hope Logan being sad when she met the new baby. But now it’s quite the opposite. And Steffy may be worried soon. With Hope Logan still recovering from her grief and the baby making her so happy, it would be terribly awkward if Steffy Forrester asked her to come around less. We’ll see what happens next weekdays on CBS. As always, visit Soap Dirt daily for all the current Bold and the Beautiful spoilers and updates. ‘Bold and the Beautiful’ Spoilers: Bill Spencer in Hospital – Detective Alex Sanchez Investigates? ‘Bold and the Beautiful’ Spoilers: Steffy Goes Too Far – Hope’s Doctor Reveals News?